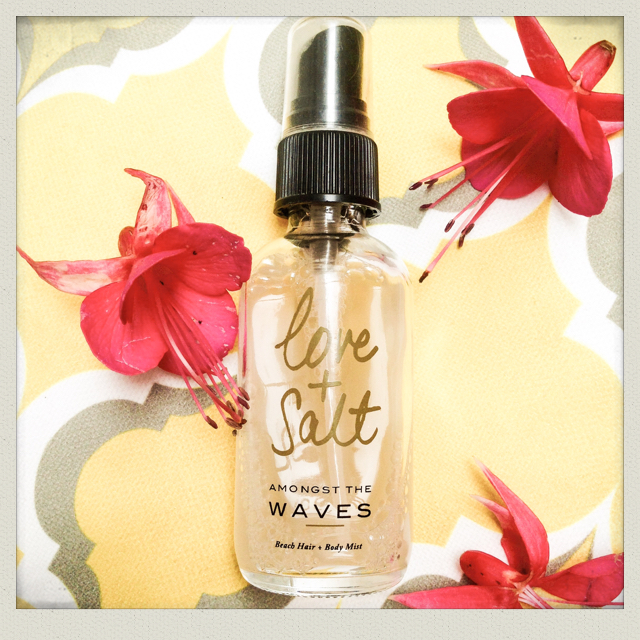 Another intro from A Beautiful World’s spring/summer sampler box, Love + Salt Amongst the Waves by Olivine Atelier was a chance discovery that I’m never letting go of. Billed as a beach hair and body mist, many swear by its ability to transform locks into tousled beachy waves. Having frizzy curly hair that doesn’t respond well to moisture this wasn’t an appeal to me, but as a natural perfume and body spray I am addicted. Its base is water, salt (hence the beach hair claims) and coconut oil, so you can spritz this all over your skin without worrying about covering it in drying alcohol, the classic ingredient for conventional perfumes and body sprays. And it’s a really delicious way to freshen up your skin and hair during the day. I’m dying to try more of this range so I hope A Beautiful World expand their Olivine Atelier selection soon. Natural credentials: As I cover in the ‘Why go for natural perfumes?’ section below, having fragrance on the ingredients list always requires further investigation. I’ve checked with Olivine Atelier and everything they use is a blend of essential oils and natural perfumes. Their vendors state that their products are vegan, 99% natural and free from synthetic blends. Why go for natural perfumes? To protect perfumers and their trade secrets ‘fragrance’ or ‘parfum’ can be used on a list of ingredients as a catch all for the individual components of that fragrance, of which there could be hundreds. This is the case under both EU and American law. So if you are scanning ingredients and fragrance or parfum crops up you can’t be sure whether that means natural or synthetic compounds have been used. In the majority of commercial perfumes it will almost certainly be a mixture of both. If you really want to be strict about what goes on your skin and avoid potential allergens then look for natural fragrance brands who state that their fragrances come from natural sources. Now that doesn’t mean I don’t still use a squirt of my favourite Chanel No 5 from time to time; I just try to spray my clothes rather than spritzing directly onto my skin, not least because of the high alcohol content, which is ageing and drying.